Gluten free graham crackers are an awesome treat to break into gluten free baking. 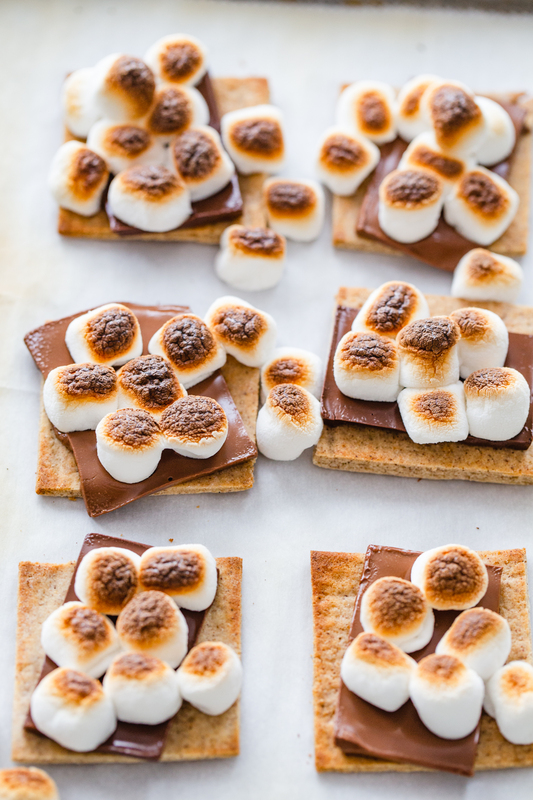 Simple and delicious these graham crackers will sweeten up your s’mores season! This post, gluten free graham crackers, is sponsored on behalf of Campfire® Marshmallows. All opinions are my own. 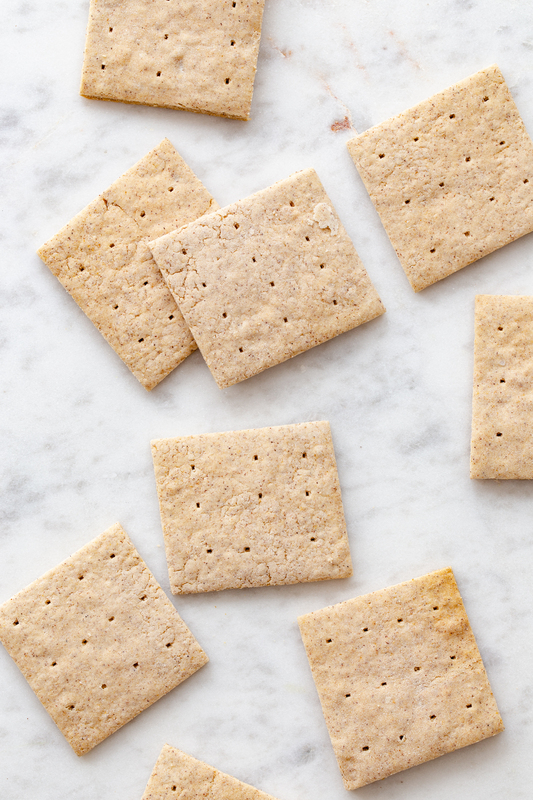 Did you know that making homemade graham crackers is totally easy? True, buying a box at the store is arguably easier, but here’s the thing. Sometimes I just don’t want to go shopping. And a bonus of making your own graham crackers is that you know exactly what’s in these guys. While our household is not entirely gluten free, we have been making an effort to reduce the amount of gluten that gets consumed. Our kids struggle with pretty bad seasonal allergies, and April is notoriously the worst month for A. We wakes up with swollen eyes and deals with constant congestion. We’ve been making some changes to their diets and lifestyle and one part of that is reducing gluten. Our efforts seem to be paying off. No puffy eyes in the mornings and less congestion (although it’s not entirely gone). Friends, please understand that this is by no means medical advice and that ultimately, I’m a complete supporter of talking with your doctor and doing what is best for your own family. But, as they say, this is my blog so I’m going to talk about what I know. And what I know is that these gluten free graham crackers are amazing! And with more and more people I know needing to avoid gluten, it’s a recipe I’m so excited to have on hand for this summer. S’mores season is around the corner and our fire pit works tirelessly all summer long. With fires comes marshmallow roasting and s’mores making! To get ready for the season, I wanted to try my hand at making a batch of gluten free graham crackers. I have used various traditional graham cracker recipes in the past, but with all of gluten free baking flours available now, gluten free baking is more accessible than ever. I tried a few of my favorites to see what translated best into gluten free and I found a winner! These gluten free graham crackers are sweetened with honey and spiced with cinnamon. The gluten free flour kept them a little on the pale side, but it didn’t seem to bother anyone because they were gobbled up in no time. 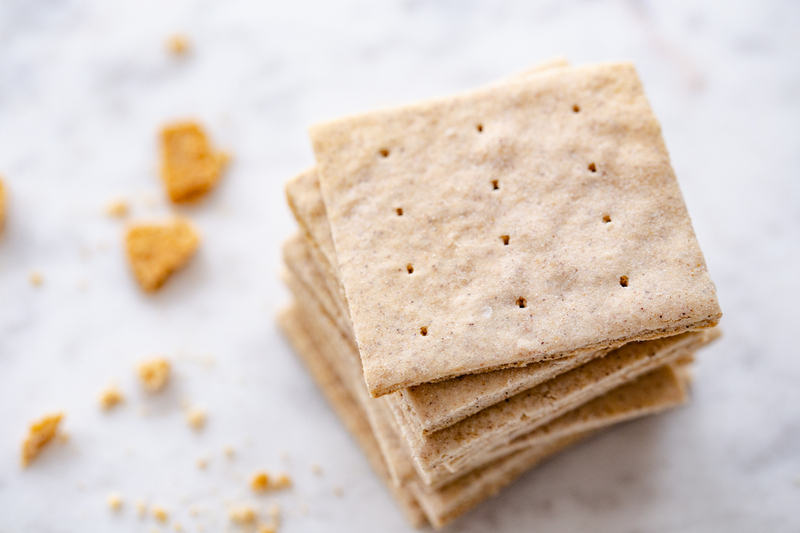 Here are a few tips that will help with your gluten free graham crackers. Use store bought gluten free flour blend or homemade. I tried this recipe with a few popular brands of gluten free baking flour and they turned out great. Be sure to use a brand that says it can be a 1 to 1 replacement for wheat flour. Add milk slowly. I found that I needed to add a bit more milk as I finished stirring together the dough. Add it in slowly so that you don’t over do it. The rolling of the dough is easy! I hate rolling out dough. It’s really not my jam, but this dough rolled very well. Just sprinkle a little extra gluten free flour on your parchment and rolling pin to keep it from sticking. Voila! The thinner you roll the dough, the crispier the crackers will be. 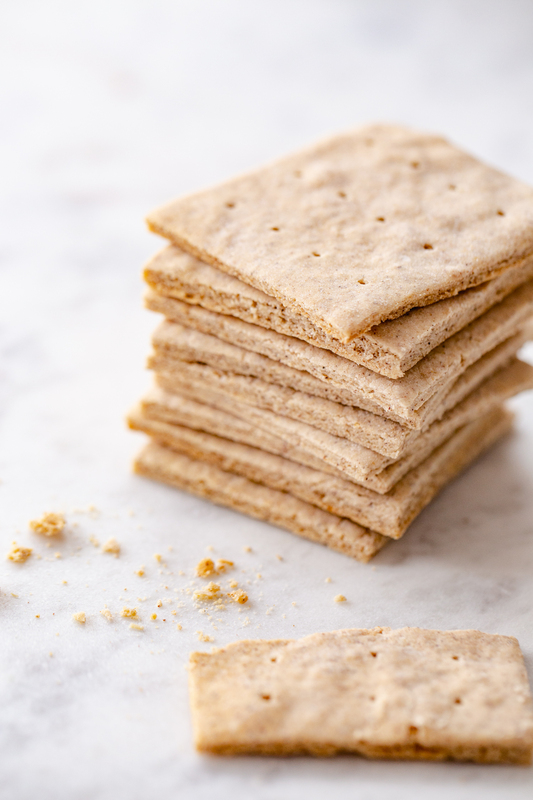 These gluten free crackers have that distinctive graham cracker flavor and texture – they’re incredible! A batch of gluten free graham crackers stays fresh at room temp in an air tight container for about 1 week. But, you can seal them up and pop them in the freezer for longer storage. Did you know that Campfire® Marshmallows are gluten free? Pair them with these gluten free graham crackers and some gluten free chocolate (most chocolate is, but just double check yours) and you have an epic gluten free dessert! In fact, Campfire® marshmallows are free from most major allergens. 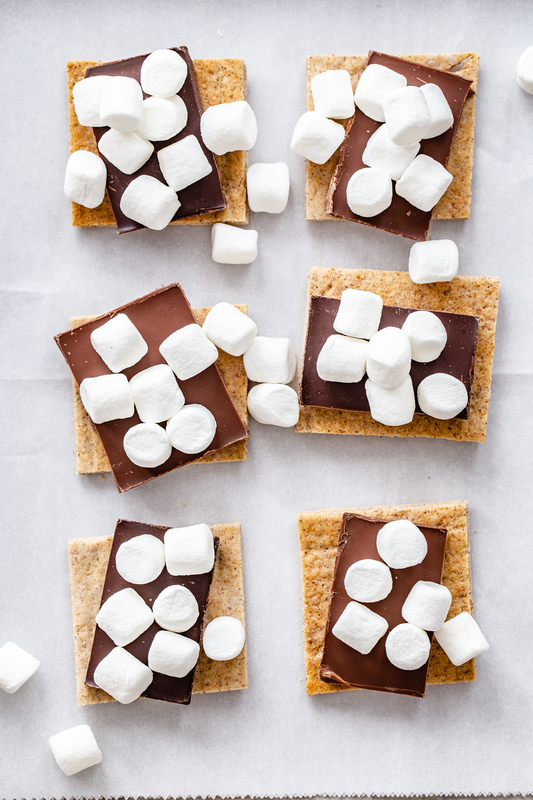 They are THE BEST to keep on hand whenever you’re planning a s’mores night or need to whip up an allergy friendly treat. 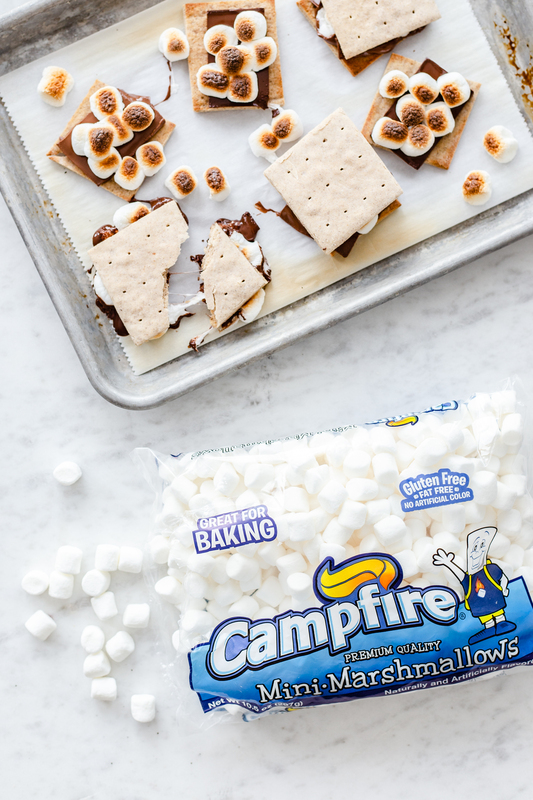 We made some indoor oven s’mores using Campfire® mini white marshmallows. It’s been hovering around 40° here and indoor s’mores were all I had the energy for. And they were perfect! Crispy, sweet, and held the melty chocolate and toasted marshmallows just the way a graham cracker should. In a large bowl, whisk together gluten free flour, granulated sugar, salt, cinnamon and baking powder. Set aside. In a second bowl, beat egg slightly. Whisk in coconut oil, honey, and about 3 Tablespoons of milk into the egg. Pour egg mixture into dry ingredients bowl and stir to form a stiff dough. Add another tablespoons of milk or more if needed to keep dough holding together. Divide dough in two and form two discs of dough. Wrap discs in plastic wrap and chill for at least 1 hour. Preheat oven to 300°F and place oven racks in upper and lower thirds position. Have two rimmed baking sheets out and ready. Cut two pieces of parchment paper to fit baking sheets. Place one piece of parchment onto counter top. Unwrap and roll out one disc of dough to 1/16 of an inch, as close to a rectangle as possible on parchment paper. Use a sprinkling of gluten free flour to keep dough from sticking, if needed. Transfer rolled dough on parchment to one baking sheet. Repeat with second dough disc on second piece of parchment and second baking sheet. Bake dough for 5 minutes. Rotate baking sheets and bake for another 5 minutes. Remove sheets from oven and use a knife or pizza cutter to cut dough into 3 inch squares but do not separate. Use a fork to pierce the dough in a few places on each cracker. Return baking sheets to oven and bake for an additional 20 minutes, rotating sheets halfway through. Turn off oven and open the oven door. Leave crackers inside and allow oven to cool for 5 minutes. Close oven door and allow crackers to cool down in warm oven for 20 more minutes. Remove crackers from oven, transfer to a cooling rack, and allow to cool completely. Store cooled crackers in an air tight container for up to a week.